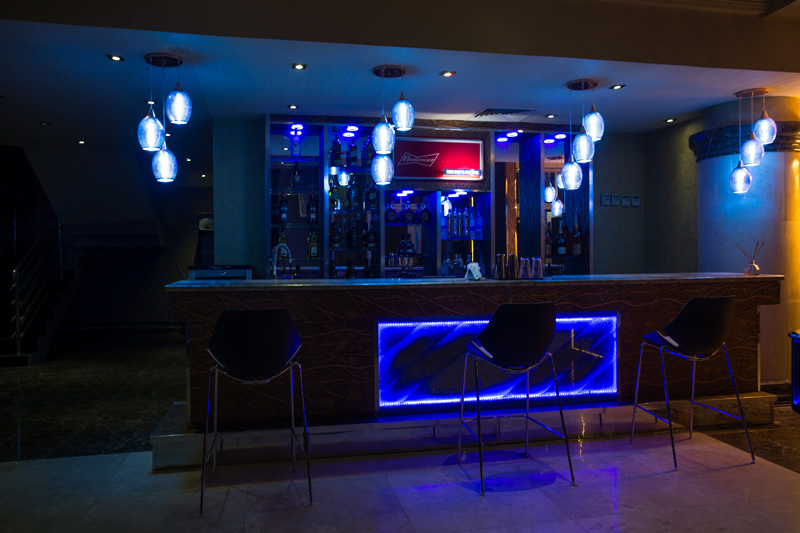 Nestled in the center of the luxurious CAESAR’S HOTEL, E11EVEN is a high end, exquisite lounge/bar. One of the most dazzling and spectacular bars in Lagos, one is awed into silence by the framework of this spherically appealing bar with ultra-seductive chaises and lounge sofas looking across the city in resplendent glory. It’s fantastic ambience and stunning interiors make it the perfect venue for entertainment. While guests tend to congregate around the eye-catching décor, there are other areas to relax and enjoy canapes and grills from the bar menu, if guests are bored, they have easy access to the outdoor patio. Exclusive cocktail cocktail innovations wow guests at each visit. The languorous moments of an unhurried night uplift the soiree with unmatched verve. The guests cannot help but murmur… C’est La Vie… Incroyable.